New 2014 Cylinder Sleeves Catalog now available! 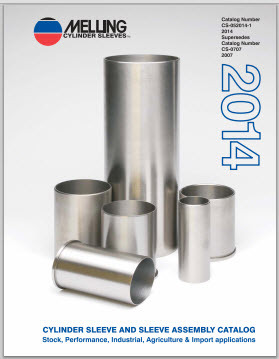 New 2014 Melling Cylinder Sleeves Catalog now available! Download a PDF copy or visit our Catalog Page where you can request a hard copy to be mailed to you!